Think of paradise and images that are synonymous with Hawaii will probably run through your head; exotic flora, beautiful beaches, big waves and grandiose volcanoes. Couple these images with nice weather, and a plethora of hotels and resorts. And you have more than just paradise, but a great environment for finding employment within the hospitality industry. Hawaii is a unique destination in that their high season is not necessarily when the islands experience the best weather, but rather when other areas of the world experience some of their worst. As a result, high season in Hawaii, when the islands get the greatest number of visitors, is mid-December to early April. Off season tends to be mid-April to mid-June, and early September to mid-December - ironically, considered to be the months that experience the best weather on the islands. 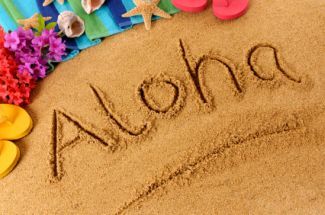 In preparation for high season, hotels and resorts in Hawaii will typically increase staffing levels in late November. As the last two weeks of December see the highest number of visitors to the island, resorts want enough time to train new staff members and work out any kinks. For job seekers, understanding this seasonality is important in order to maximize hiring opportunities. Although the perfect hospitality job could become available at any moment, the chances will always be greater as a resort increases staffing levels. Kauai - Find your dream job on Kauai, which is the northernmost Hawaiian island. It is filled with dramatic and natural beauty! Resorts here tend to focus on romance and outdoor adventure. Oahu - Home to the legendary North Shore, Waikiki Beach, and Pearl Harbor, this island is the most populated and filled with natural and cultural wonders. Hotels and resorts offer a little bit of everything. Molokai - With almost half of its population being of Native Hawaiian ancestry, this small island has the greatest connection to Hawaii's past. It's rugged and sparsely populated. Lanai - The sleepiest of all the islands, this island doesn't have a single traffic light. Resorts tend to focus on luxury, golf, and romance. Two of the world's top golf courses are located on Lanai. Maui - As the second largest island, this island is famed for having some of the best beaches in the world. Resorts on Maui offer diving, snorkeling, mountain biking adventures, whale watching, volcano tours, and more. The Big Island - Larger than all the other islands combined, this island has 11 of the world's 13 microclimates. Hotel and resorts offer a little bit of everything. To find out more about living and working on the islands of Hawaii, continue reading on in our Member's Section.